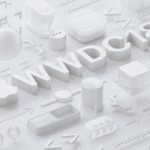 Today at the companies annual World Wide Developers Conference, Apple unveiled macOS Mojave, watchOS 5, and tvOS 12; the latest OS releases for Apple’s Mac, Apple Watch, and Apple TV devices. The updates, which are available in beta form today for developers and to all this fall, include a number of major performance improvements and feature additions. In addition to the new software updates, Apple finally unveiled the first phase in it’s Marzipan project by porting it’s own iOS apps to the Mac for the first time in the form of Apple News, Stocks, and Voice Memos. Apple announced that third-party support for cross platform apps will arrive at next year’s WWDC. watchOS 5 includes a number of new features, including a particular focus on activity and personal communication, as well as a number of smaller improvements. The update is available for developers today and will launch alongside a new Apple Watch this Fall. Notably, this update will not be available for users of the original Apple Watch. The Apple Watch has largely become a fitness-focused device in the last couple of years, and watchOS 5 pushes these capabilities even further. 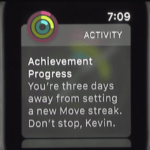 watchOS 5 now includes ‘Challenges’, a new feature where you can challenge your friends to 7-day Activity competitions. These can vary from completing rings to specific activities in the Activity app. The Activity app itself has been heavily updated with a number of new workout types, including Hiking, Yoga, and new running statistics. It can also now automatically alert you if it seems you are about to start or stop a workout. watchOS 5 includes a number of new connectivity and social features, the most notable being walkie-talkie. Once accepted by two people, users will be able to instantly talk to each other by holding down a button. watchOS 5 also includes support for Siri shortcuts, a new iOS 12 feature that allows users to set up custom commands for third-party tasks or workflows. The Siri watch-face, introduced last years, has also been updated to intelligently support these shortcuts. It can also now show even more information, including sports and maps. Notifications have been heavily improved, now including custom actions within the notifications for easily addressing them without having to launch an app. watchOS 5 also integrates WebKit, allowing for users to quickly view web content from friends. Podcasts are coming to Apple Watch, and via a new developer API, third party apps should now also be able to create similar apps for the Watch. tvOS 12 includes a few major improvements, the most notable being support for Dolby Atmos. The audio standard, which is considered by many to be the best in home theater audio today, is a major win for the Apple TV, and makes it the first box to support both Dolby Vision and Atmos. Additionally, tvOS 12 includes a new feature called “Zero Sign On”. With a supported cable operator (only Charter is supported at launch), Apple TV will automatically detect your cable subscription via your home network, and log into all available content without ever having to enter a username or password. tvOS 12 will launch this fall for consumers and is available in developer beta today. macOS 10.14, known as macOS Mojave and as first reported by AppleToolbox, include major performance improvements and power user features. The update, like iOS 12, is available on all devices that supported macOS 10.13 High Sierra, and allows for increased performance on both newer and older machines. Most notably, macOS Mojave includes a completely redesigned Mac App Store, with a focus on discoverability and gaining all of the features previously only available in the iOS App Store. macOS Mojave features a full-fledged Dark Mode, turning all white assets in the OS dark and inverting the text. Mojave also features an updated Finder, which includes a new mode for easily previewing and editing your files, as well as enacting workflows. The Desktop in Mojave has been updated to sort item into stacks, decluttering the information and creating an iOS folder like system for viewing information. Lastly macOS can now handoff to your iPhone camera related tasks, allowing you to click a button, then go to your phone and snap a photo or document, and have it immediately imported to your Mac. In a surprising moment, Apple gave a sort of ‘sneak peek’ at one aspect of the Marzipan project: the ability to run iOS apps on Mac. As expected, this segment of the project revolves around a new shared UI base, which allows for porting of an app with little code. macOS Mojave includes the first apps to be ported over to macOS from iOS, Apple News, Stock, and Voice Memos, and Apple says developers will be able to start doing this themselves next year. macOS Mojave is available in beta for developers now and will launch this fall for consumers. Be sure to stay tuned to AppleToolbox for more WWDC news.